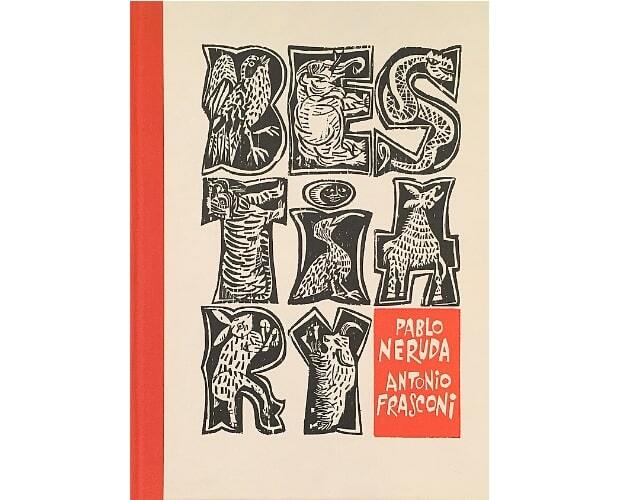 Pablo NERUDA - Antonio FRASCONIBestiary / Bestiario. 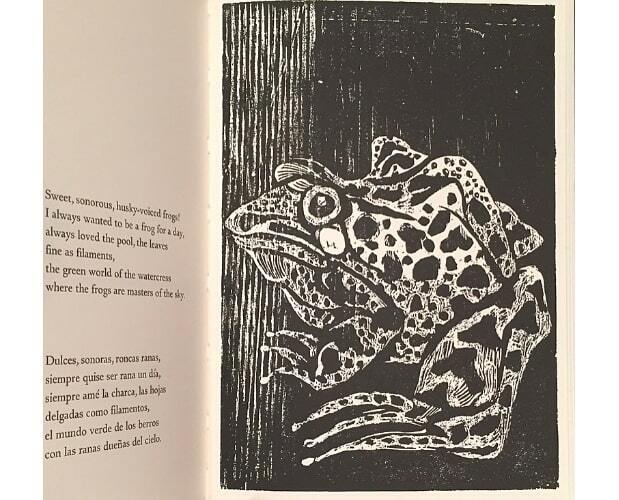 A Poem by Pablo Neruda translated by Elsa Neuberger with Woodcuts by Antonio Frasconi. New York, Harcourt, Brace & World, [The Spiral Press], 1965. 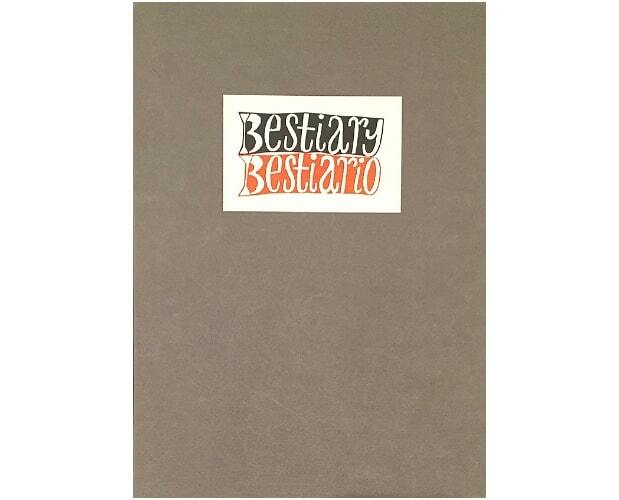 4to, in a special binding designed for deluxe copies, orange cloth lettered in black over white paper boards illustrated in orange and black, grey paper slipcase with orange and black label. (42)pp. English & Spanish text. Printed in black and orange. Woodcut illustrations throughout, including several full or double page. Complete. 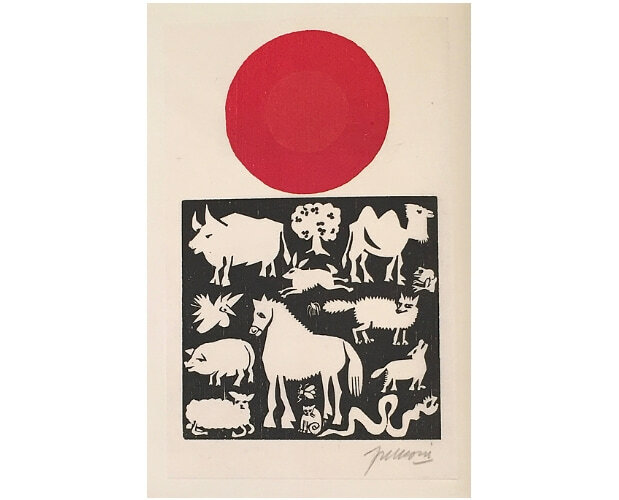 One of 300 numbered deluxe copies on Rives mouldmade paper signed by the artist and the printer, with an original woodcut signed on Goyu handmade paper (frontispiece). One of the foremost woodcut and book artists since the 1940s, Antonio Frasconi (1919-2013) is best known for combining realist and symbolic imagery to address political and social issues. His work also includes such subjects as bestiaries, lyrical landscapes, and illustrations for children’s stories and other literary works. 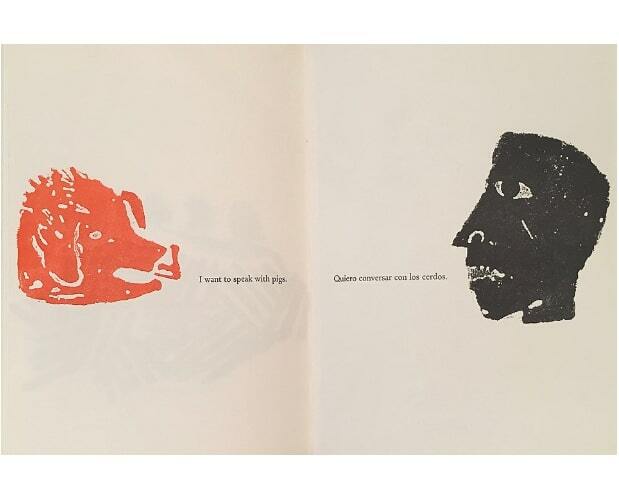 Fascinated by the political prints of Mexican artist JosT Guadalupe Posada, Frasconi began his seven-decade career as a satirical cartoonist. Raised in Uruguay, he settled in the United States in 1945, when he received a scholarship from the Art Students League in New York. An admirer of German Expressionist and Japanese woodcuts, he did much to sustain interest in the medium at mid-century and, of the three thousand prints he has made, most were executed using this technique (MoMa). The Spiral Press was an American fine press founded by the typographer Joseph Blumenthal (1897-1990) in 1926. 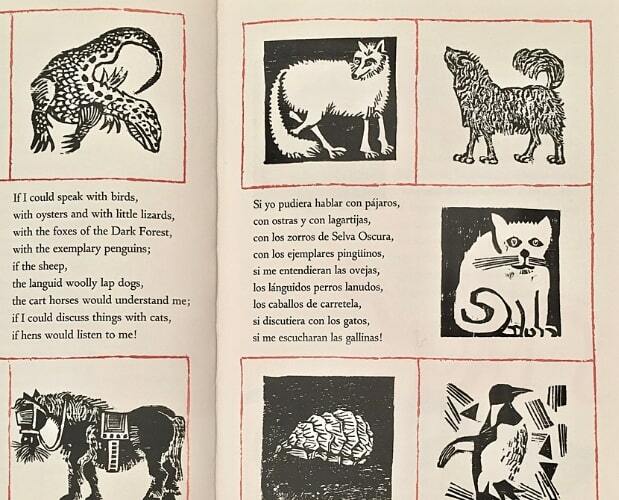 Between 1926 and its closure in 1971, the press designed and printed books for or by Robert Frost, W. H. Auden, Pablo Neruda, William Carlos Williams, Robinson Jeffers and Franklin Delano Roosevelt. The press’s institutional clients included the Metropolitan Museum of Art, Morgan Library, Museum of Modern Art, Frick Collection, Random House, and CBS Television Network. Blumenthal also designed a typeface, Spiral, which he named after the press, and wrote and taught on fine printing and book arts. In recognition of his attention to detail and high standards of excellence in his work, he was awarded the American Institute of Graphic Arts’ Lifetime Achievement Award in 1952. Bookplate of David Paul Rose.